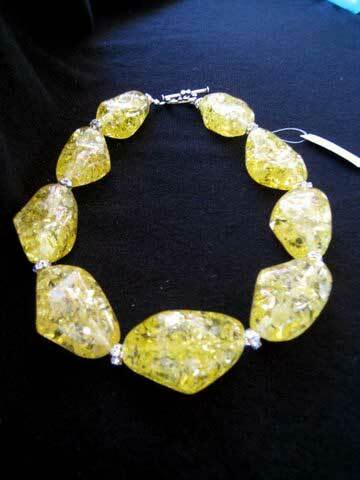 STAR quenches her love of twinkle and shine by using Swarovski crystals in different ways to brighten her pieces. Day/night Amethyst. 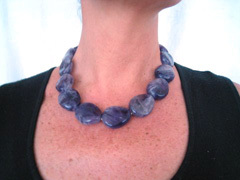 Wavy oval chunks of violet with sparkling Swarovski crystals in the center piece - show off in the evening - turn to hide in the day. 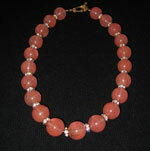 Southwest sterling beads and a sterling toggle clasp complete this innovative necklace. 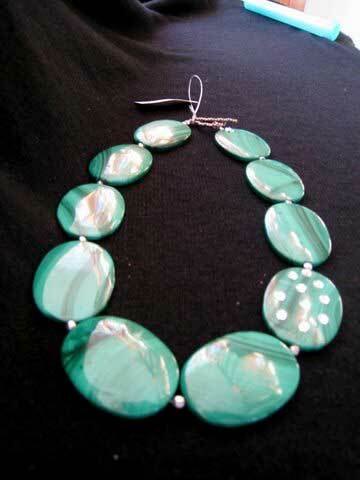 Day/night extraordinary malachite necklace. Large ovals with classic light-dark patterning that typify this unique stone. A sprinkle shimmering of Swarovski crystals are placed off center for night-time bling. Turn over for day-time. 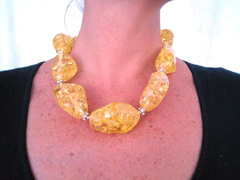 Exciting sparkling yellow faux amber make a bold fun statement. Each stone is separated by a dazzling Swarovski rendels. 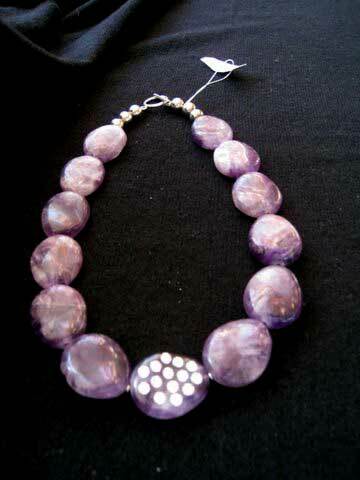 Sterling toggle clasp with Swarovski crystals. 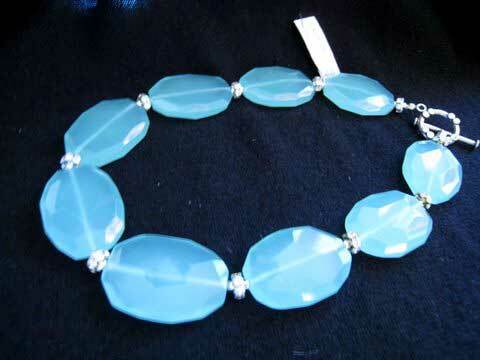 Unusual tourmalated translucent chalcedony. 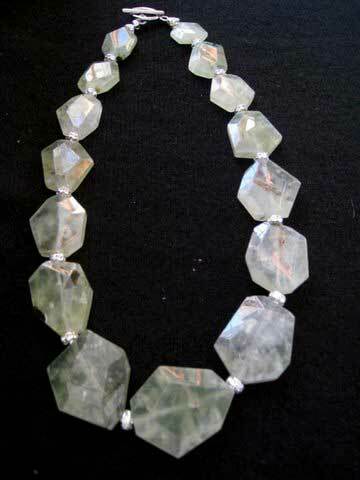 A beautiful light mossy green with brown dendrite inclusions and pale green that resembles ice crystals on windows in winter. Swarovski crystal rendels twinkle between the graduated stones. 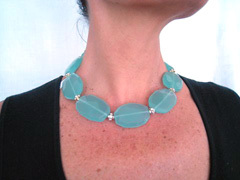 Exquisite translucent faceted faux Amazonite ovals. The most beautiful shade of aqua. 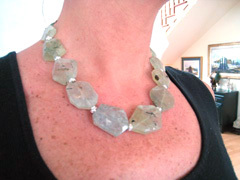 Separated by faceted sterling beads and glittering Swarovski rendels.